For years, the Mana Pools National Park have been the pride of, not only Zimbabwe, but Africa as well. Its vast green water-bed and breathtaking wildlife have been the benchmark for Mother Nature’s artistry at its best. Unfortunately, the park’s scenery had suffered a severe degradation. This was because, in the previous two rainy seasons, the park had to endure two consecutive years of low rainfall. Last January, the scenery in the park could easily have been mistaken for September scenery. With dry grass and little or no vegetation at all, for the smaller herbivores to survive on. However, the 2016/2017 rainy season has brought about a drastic increase in the overall cumulative rainfall of Zimbabwe as a whole. As a result, as of the of 20th January 2017, the cumulative rainfall at the Mana Pools has reached peaks as high as 335mm. This is substantially above average for 2 months into the rainy season. The heavy rains have been a real blessing to the park. They have brought respite to the bush as well as the wildlife. The road network in the park is virtually impassable. This is due to surface water and thick mud. The national park’s staff reports claim that even the access road into Nyamepi, which is the Head Office, is only passable in high clearance 4×4 vehicles. For those intending to enter the park for a self-drive, you are warned that it is rather safer to be at Marongora National Parks’ offices on the Harare – Chirundu road, no later than 3pm. This applies for any day one plans on visiting the Mana Pools. A note from the Mana Pools Parks staff states the following. WE WILL NOT ALLOW CLIENTS TO PROCEED TO MANA. IF WE THINK THE CONDITIONS ARE TOO RISKY TO DRIVE ALONG THE ACCESS ROAD. So for those who had lost interest in visiting the Mana Pools, due to its performance in recent years. It’s high time to reconsider your decision as the park has bounced back and is looking fresher than ever. Hence it might be worth your while to revisit the park. So as to notice the drastic improvements that have been brought about by the heavy rains. As for those who haven’t been to the park, now would be a perfect time to start as you won’t regret the experience. If first-timers are to visit the Mana Pools park in its current state. They might find themselves returning sooner than expected! CONTACT US AND WE WILL ASSIST YOU WITH MORE INFORMATION AND DETAILS! 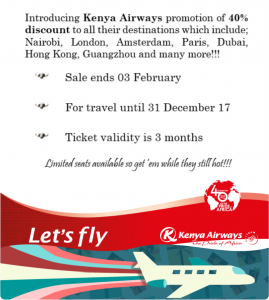 For more information on this Kenya Airways Special and many more contact us. Book your next stay in Harare at Cresta Oasis Hotel and enjoy their Cresta Oasis January Specials on Accommodation. This long established hotel is real value for money with hospitality that is second to none! Now you pay as little as US$ 60.00 per room per night (Room Only) or US$ 70.00 per room per night (Bed and Breakfast). So if your business takes you to central Harare, then this is the place to stay! YOU HAVEN’T BEEN TO THE MOUNTAIN, UNTIL YOU HAVE BEEN TO THE TOP!!! Stay at Rhodes Nyanga Hotel and get a complementary guided climb of Mt. Nyangani. After which you’ll get a commemorative certificate as proof of you having truly been to the mountain top. It’s only at Rhodes Nyanga Hotel where the rates are very low but the rooms are limited, ‘go figure’. Terms and Conditions apply. 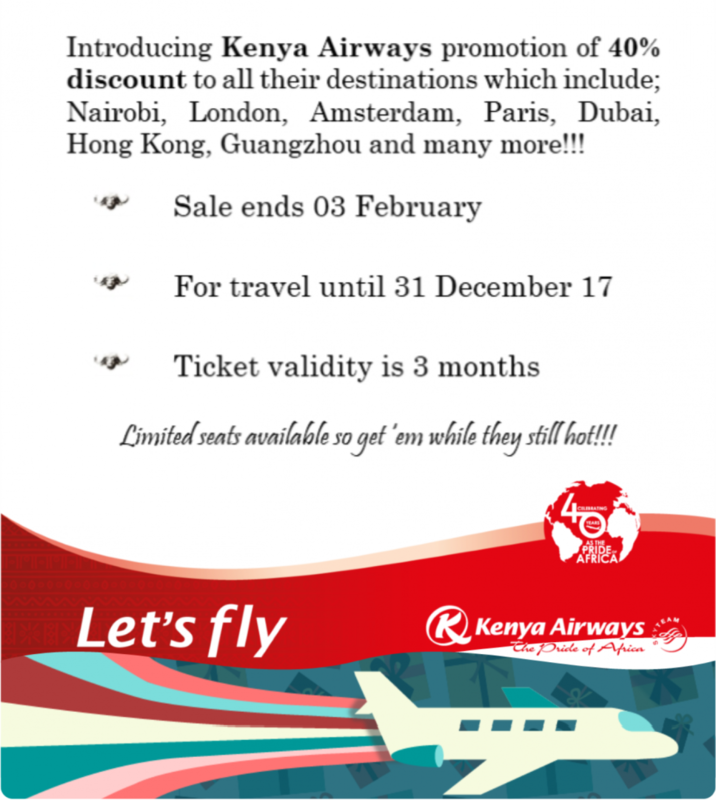 https://nyati-travel.com/wp-content/uploads/2017/01/Rhodesheader.png 291 450 Bwanaisa Tanaka https://nyati-travel.com/wp-content/uploads/2018/03/nyati-wide-logo-300x68.png Bwanaisa Tanaka2017-01-20 13:04:332017-01-20 13:04:33YOU HAVEN'T BEEN TO THE MOUNTAIN, UNTIL YOU HAVE BEEN TO THE TOP!! !